Hello everyone. This is my first post here after browsing for awhile. I know this discussion has come up before but there was no consensus regarding the lack of serial numbers on the particular 1765 Unitime. It is the smaller version with the arrow chrono hand. 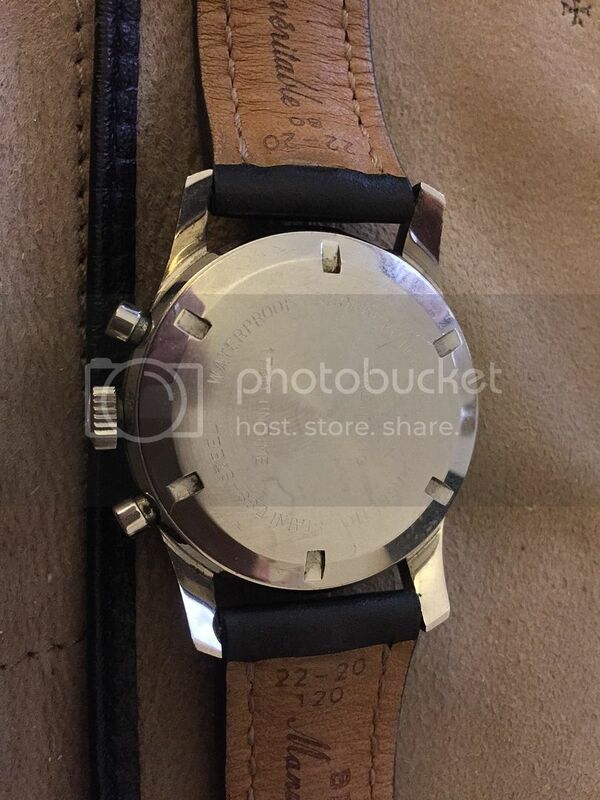 Any input regarding this watch would be appreciated. none of the handful (or less) of the small case 1765 we have seen carries a serial number - and no reason we could think of how and why this happened. 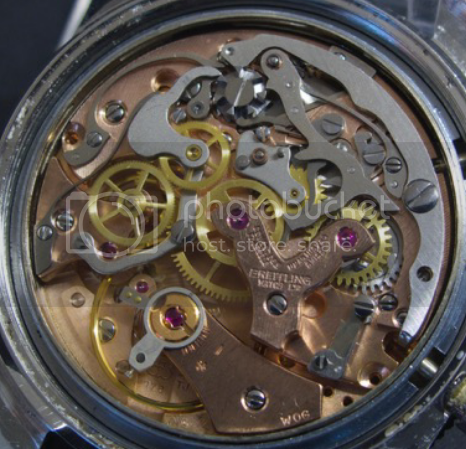 can we see the back and maybe even the inside of the caseback please ? 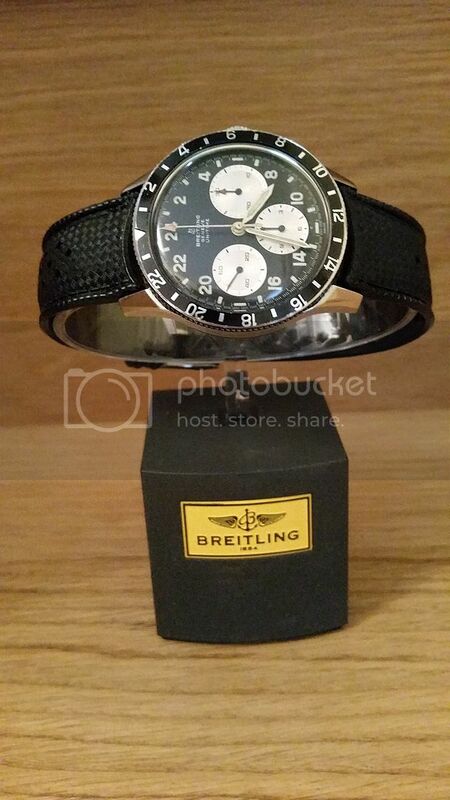 I really appreciate the responses, seems Breitling collectors are a little more friendly than Rolex. like the others we saw, though unsure if these were WOG-marked, Rene ? 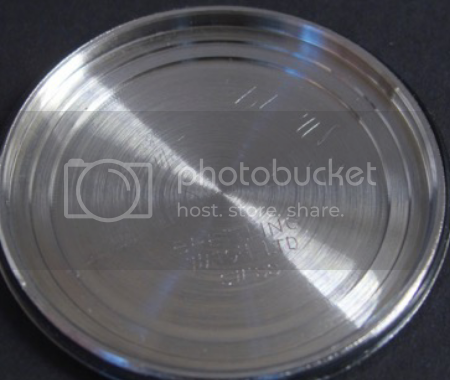 I note also that the case back on these smaller ones states-"water proof" rather than the serial numbered case back that has "water resistant"-I have owned both but still am not convinced that the un-serial numbered ones are correct-what year did the water proof/water resistant engraving change? but if they are , as we think they are, pre 1969 , and produced in the mid 60ies as they have the small case. Why dont they have WOG ? and why no serial number ?.. still torn there .. why no serial number and when were these made ? 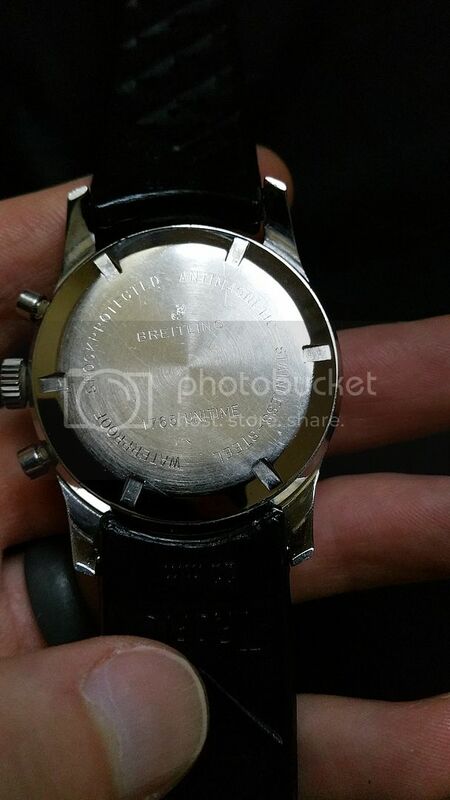 by far not all watches had the import codes, many models of the 11xx series apparently were never distributed in the US, so they had no codes. yes, the AVI and CP - and of yourse the Navitimers - did have them, so it is notheworthy, but for me this probably 1967 (dated together, as you'll remember) Trautmann catalog shows the Unitime AVI for the first time, arrow minute counter and most probably the small case, as all the big cases we know of, regardless which model they are used for were produced in 1969 or later. Hallo, this is my 1765 Unitime, small case, back case with Waterproof - Shockprotected no serial number, movement Venus 178 WOG import code, 12 hour hand is in wrong position. 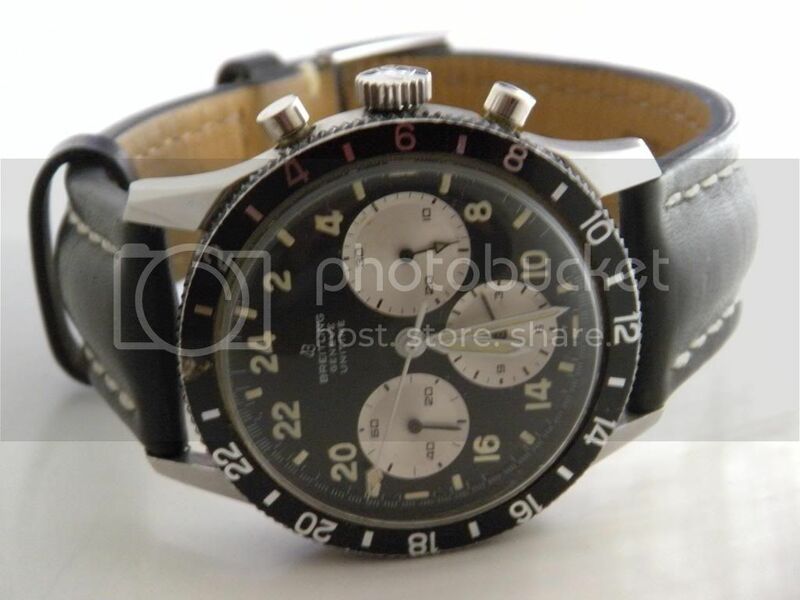 Note that the 1765 for sale on Chrono24 with a red triangle bezel insert does have a serial number. Very strange. But I am not sure if that case back is original either, looks very new. 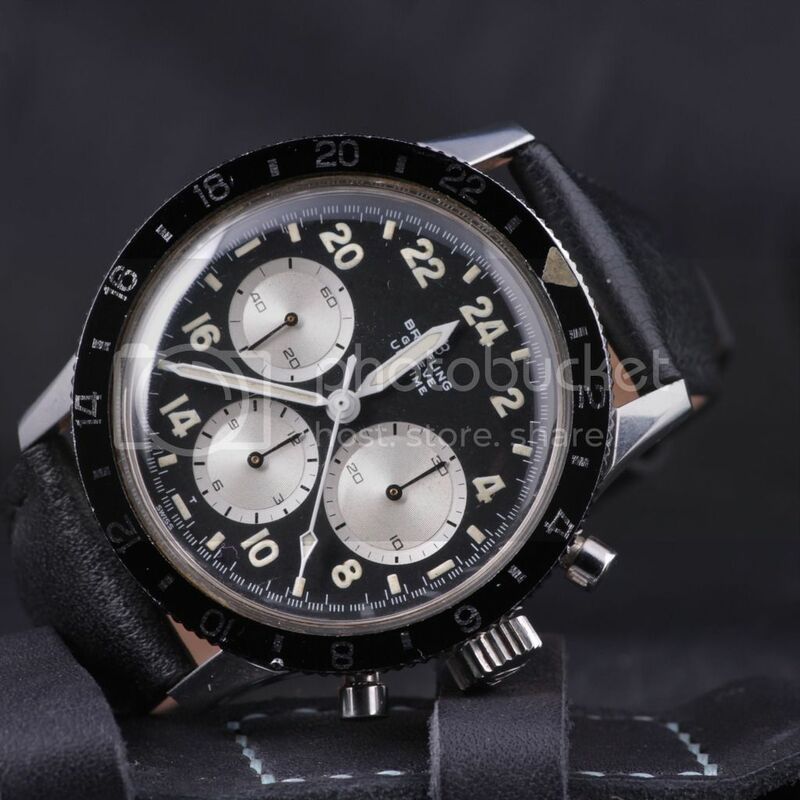 the Chrono24 example does not have a numbered case back ,only 1765 Unitime-and the minute counter dial looks very strange to me as does the rest of the dial(redial? ).The case back also says "water-proof" rather than "water-resistant" which seems wrong to me but I await answer to the question on when it became legal to have "water resistant" rather than "waterproof" on watch case backs. also just checked and the 7660 Co-pilot yachting has "water resistant" but the AVI has "water proof"------------legals must have changed around 1969? Thought I would continue on this excellent thread rather than create another, so that the interesting discussion can be kept in one place for others in future. I am a long term member of this wonderful site and regular visitor but sadly don't get as much time to post as I would like to with a young family, but thought I would try to add to this topic while I have a few minutes tonight. As a bit of a re-introduction I have a small but growing vintage chronograph collection which started just over 10 years ago with, like many, an iconic 1966 806 Navitimer, a watch I had wanted for many years and finally got once I got my first decent job. I still have it and in recent years I have added a number of others, mainly Breitlings, ranging from a rare black dial 1945 Ref 178 to a blue dial 1994 Lemania based Cosmonaut. For all the watches with the exception of the 806 I have been helped greatly by Fred and this site, for which I will always be greatful and thankful. Breitling was always the brand that spoke to me and growing up it was always the Navitimer that was my grail, that was until I started looking into Breitlings vintage back-catalogue and came across the 1765 Unitimes and knew I had to add one! 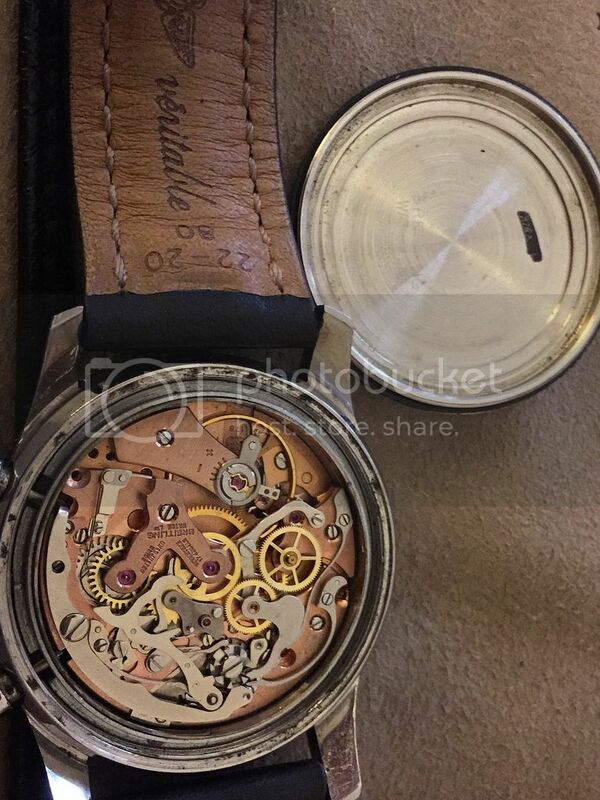 I bought a 'Small Case' 1765 Unitime and like Herbert50's example in this thread it has the WOG marked movement (so likely '66/7, consistent with the case period), no serial number and same Waterproof case back, it appears identical in every way from what I can see apart from the arrowed sub-hand on mine being on the right hand sub-dial, like in Fred's invaluable advert in this thread (rather than being in the bottom sub-dial on Herbet's but he does mention that is wrong on his). The condition is very nice but shows signs of its age as expected.